House Bill 1086, a bill proposed by the Colorado House of Representatives that would allow two-year colleges to provide four-year nursing degrees, was signed into law on March 13. The bill was proposed in response to a statistic stating that a shortage of 4,500 could be witnessed in the U.S. by 2024 via the United States Department of Labor. It is unclear how the new law will impact the nursing program at UCCS, according to Nancy Smith, dean of the College of Nursing and Health Sciences. It is possible that some students who would have transferred to UCCS will choose to stay at their community college instead. “Our program and others might or might not have a drop in enrollment. It’s hard to predict,” she said. Colorado is working to increase the ratio of baccalaureate nurses in the state, said Smith. Baccalaureate nurses earn a bachelor’s of science in nursing. Around 37 percent of nurses graduate from a baccalaureate program, according to Peoria Magazines. “We know that with baccalaureate level nurses there are better outcomes for patients,” she said. Many four-year nursing degree programs are online, allowing for more accessibility to students. “The capacity of the programs is not full. 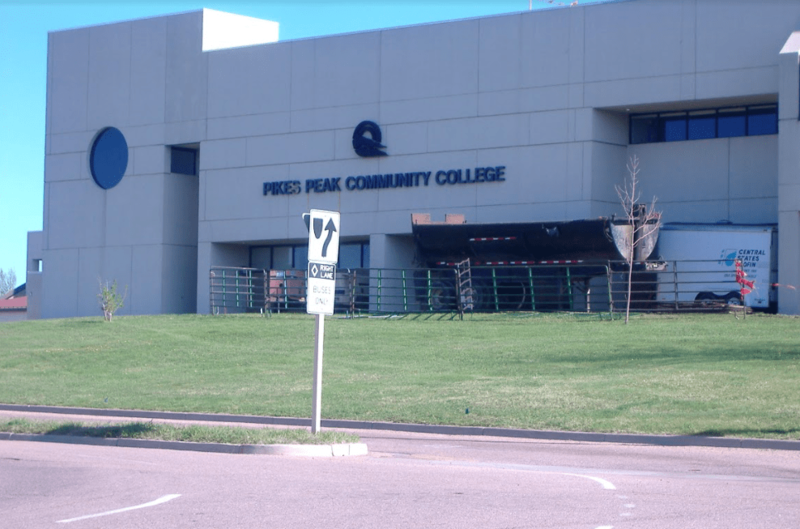 If you think about it, why should community colleges provide baccalaureate programs if it already exists and is not fully utilized?” Smith said. Sophomore nursing student Shannon Kim said that she would have pursued her nursing degree at her community college if a four-year program was offered. “If I’m getting the same education, like the same professors anyway, because they’re going back and forth, then I might as well go with the cheaper option,” said Kim. Kim hopes that the bill will be beneficial in the long run. “My only hope is that it has been well thought through and it has lots of clarity because I hadn’t heard of this bill until just recently, so I would like to know more about it,” she said. According to Smith, the national nursing shortage exists due specialty and location of jobs. For example, there is more of a shortage in rural communities than in urban communities. “The shortage depends on where you are and on the specialty of the nursing field,” said Smith. Many nursing graduates want to work in specific areas of nursing. Kim explained that working in pediatrics is more popular than working in a nursing home. “A lot of the nurses tend to go to the big hospitals and work in pediatrics or children, but there’s not a lot of forensic nurses,” said Kim. UCCS offers a graduate certificate in forensic nursing. Many forensic nurses quit after a few years because of the subject matter they witness. Kim believes that the challenges are worth it to become an advocate of victims. “I’ve been looking at since I was quite young because somebody’s got to do it. I’ve heard tons of stories. Even though it’s hard, it’s helped a ton of people because a big part of being a forensic nurse is victim advocacy,” said Kim. One of the problems with training more nurses in the state is that there is also a shortage of qualified nursing instructors, explained Smith. Professors teaching bachelor’s of science in nursing (BSN) courses are required to have more qualifications than professors only teaching registered nurse (RN) courses. “This may be community colleges trying to capture their own students for another two years instead of going off for another four-year institution,” said Smith. Smith believes that the new bill will have little impact on nursing shortages in the state because it only changes the location of the education, not the number of students graduating. “I was in the capital around the time when the bill was presented. Most legislators were saying that the bill was needed because of a nursing shortage. But this bill won’t change the shortages. It’s questionable if there even is a shortage,” she said.